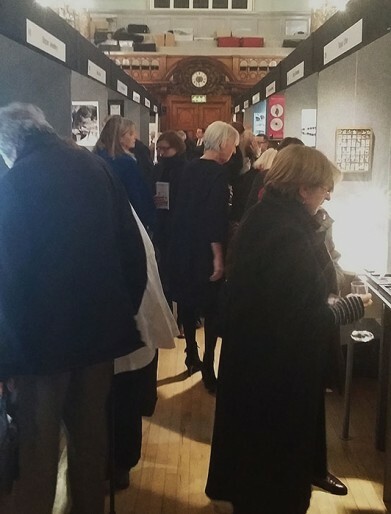 I nipped along to Chelsea Old Town Hall the other evening for the private view of ‘Desire‘, the jewellery and silversmithing fair. A fair showing work in just one medium can be problematic, but there are such diverse tastes in jewellery that there was a wide range of work which did not overlap too much. We were there to see Lynne Bartlett, who had invited us, and I loved her new work developed during her stint as artist in residence at the University of Creative Arts in Farnham. 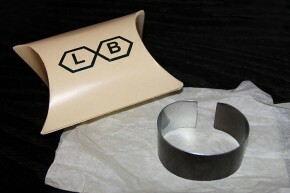 She had experimented with digital engraving into the anodised aluminium and heat coloured titanium that has become her signature style. 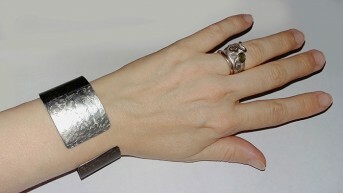 I left with a gorgeous black and silver bangle engraved with a subtle snakeskin pattern. 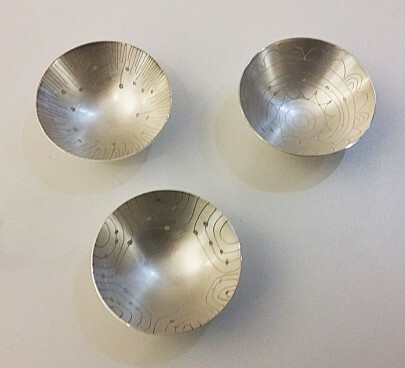 I was also rather taken with Rebecca Lawley‘s beautiful silver bowls engraved by hand with different decorative patterns. 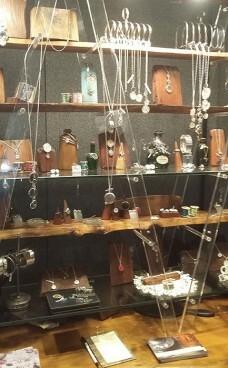 And I couldn’t help but notice Heather Stowell‘s quirky display which made use of gnarled wooden shelves and old glass bottles to show off her silver jewellery based on calligraphic letters and vintage buttons.